During the early 1990’s Brindavan Ashram was a mystical place. The stage area where Swami sat for bhajans, use to be dripping with exotic flower arrangements. Even devotees offerings of rose and Jasmin garlands , were accepted and placed upon the Ganesha Statue, just beneath the stage area. A beautiful statue of the Goddess Saraswathi stood just outside the hall. People use to place garlands at her feet. I, too, use to leave roses there as a token of gratitude. Although the old Darshan Tree had been cut down, the new Sai Ramesh Hall, held a certain charm. The placement of ‘blocks’ around the hall, provided us with close darshan of Sai. He often strolled around each block where everyone could see him. In the early days of The Sai Ramesh Hall, Swami gave Darshan twice a day. He sometimes entered the Sai Ramesh Hall from the third entrance, towards the back, much to the surprise and delight of those people seated in the back blocks. It was an amazing time to be with him. And greatly missed. Statue of Saraswathi outside The Sai Ramesh Hall, Whitefield. “Some years ago, while in Whitefield, I joined a London group for a very short time. When it was time for them to leave, the group decided to join the ‘leaving line’ fondly named the ‘blessing line.’ I, too, joined although I had some weeks left before I had to leave for home. A sudden prick of conscience made me reconsider my seating place. I decided to ask one of the Seva Dal volunteers if it was okay for me to sit there, although I would not be leaving with my group. She answered that it was not and suggested I join the usual token number rows. I left my plate of sweets with the group and found another line where there was just enough room to squeeze in the very back. Fortunately for me, the line drew a number one token. 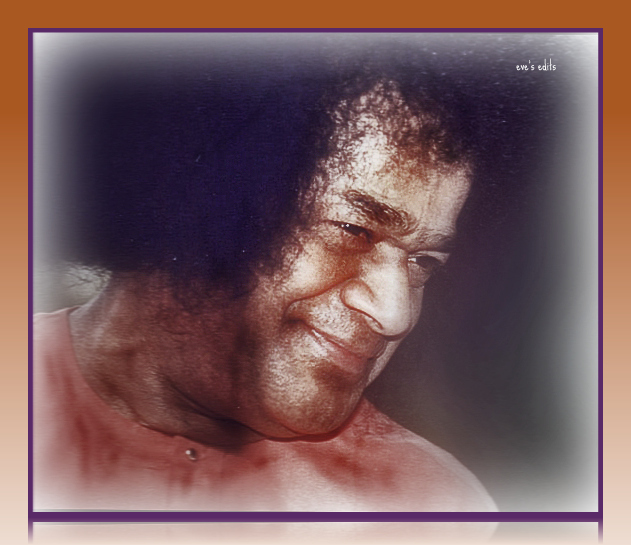 Quickly, I retrieved my tray of sweets from the group members seated in the `leaving line,’ and followed the rest of the row one ladies into the Sai Ramesh Hall. Here we were placed towards the carpet’s edge and close to where Swami walked. When Swami came out for darshan, he came over stood and looked at the sweets, then blessed them. Another interesting fact about token line numbers is that when devotees ask for front position to have their babies blessed, sometimes they are refused. Swami, aware of their disappointment, often gives them line number one at the next darshan. A young lady, who was refused a chance to sit in the front at a very busy time in the Ashram, drew number one token the next day. The baby received a special blessing from Sai. Unbashful row one is something I treasure. I rarely had a chance to sit near Sai Baba and thus, a one number had special meaning. One of my fondest memories of line numbers is 6th May, 1996, when I drew no. one token, both morning and afternoon. This poignant anniversary of the passing of Sri Sai Baba’s mother was celebrated magnificently in the morning; children sang bhajans and chanted mantras. At the end of the ceremonies, Swami accepted a little girl’s bouquet of flowers. The afternoon arrived balmy, bright, and festive and while a promising ambience electrified the hall, Swami, in excellent spirits, gave an inspiring discourse about mothers. Sri Sai Baba teaches in a variety of ways and often his silent teachings are more revealing than any given in an interview. In particular, the token numbers make us ponder on the `whys and wherefores’ of our seating positions. Of course, front lines gladden our hearts and we see him as Sai Krishna,while the back lines seem to indicate we are being punished. This is when we often see Swami as the Shiva principle who moves among us destroying our egos. But through it all, whatever the number, it is a sincere gift of love from Swami to his visitors or followers, at least those brave enough to accept whatever he gives. Who would trade such valuable lessons to be a V.I.P. ?